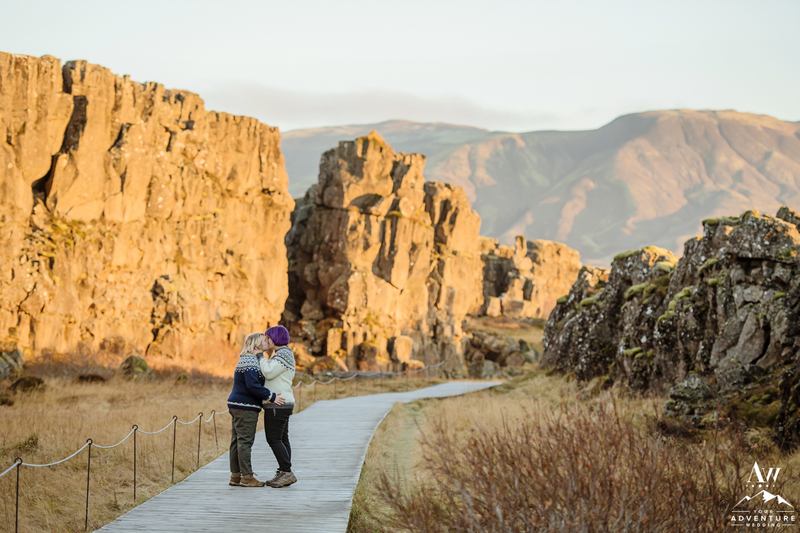 To Propose or not to Propose Iceland… that is the question. Is there another place that offers such a variety of dynamic landscapes that you can see all in one day?! Nope! And we’ve tried finding a place that comes close (closest we’ve come is the South Island of New Zealand). 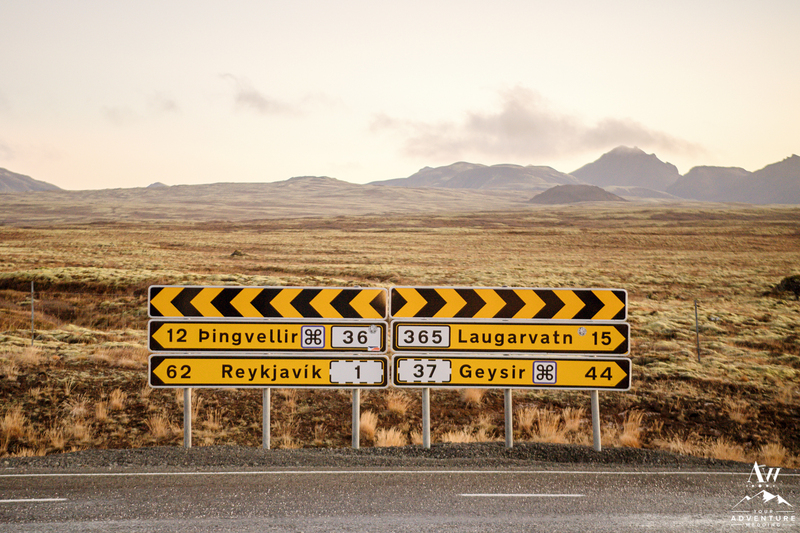 Iceland is hands down the ultimate adventure seekers paradise. 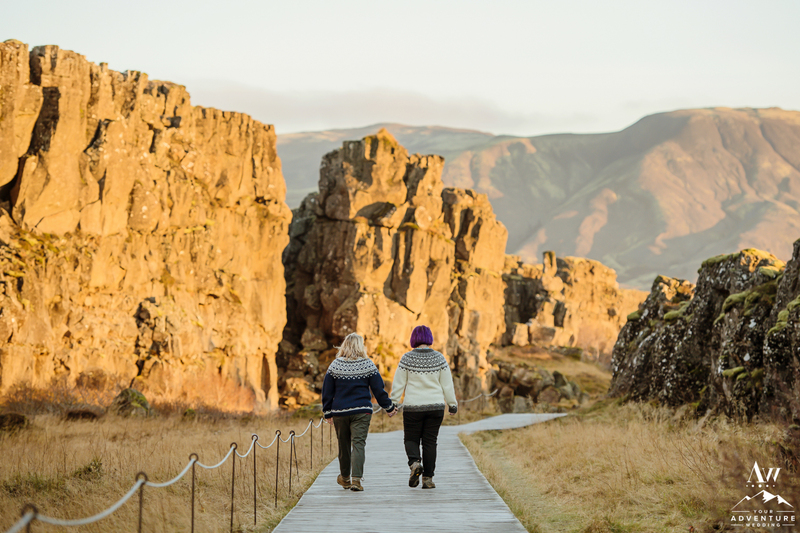 Which then translates to, if you’re ready to “pop the question” of spending a lifetime of adventure together to your partner, an ideal location to propose! 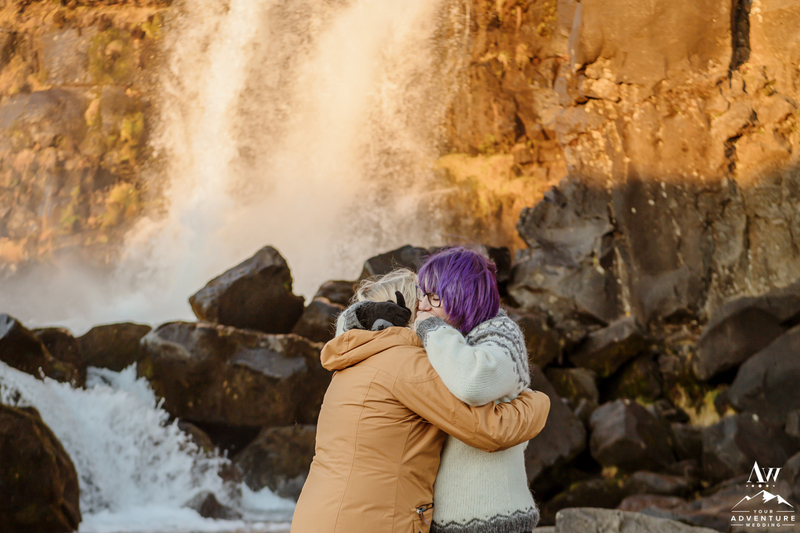 Proposing in Iceland can be an overwhelming decision, but not with our Iceland Wedding Planner team, because we carefully craft unique options that will inspire both you and your partner! 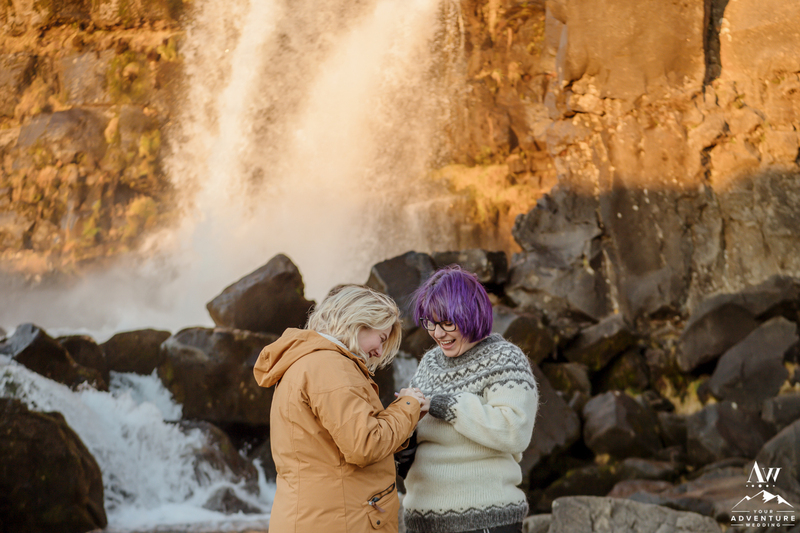 Oh la la and today friends, we have a sweet proposal story to share with you of two lovely ladies named: Jen + Ellie so come along with us today to experience their perfect Propose Iceland Story! 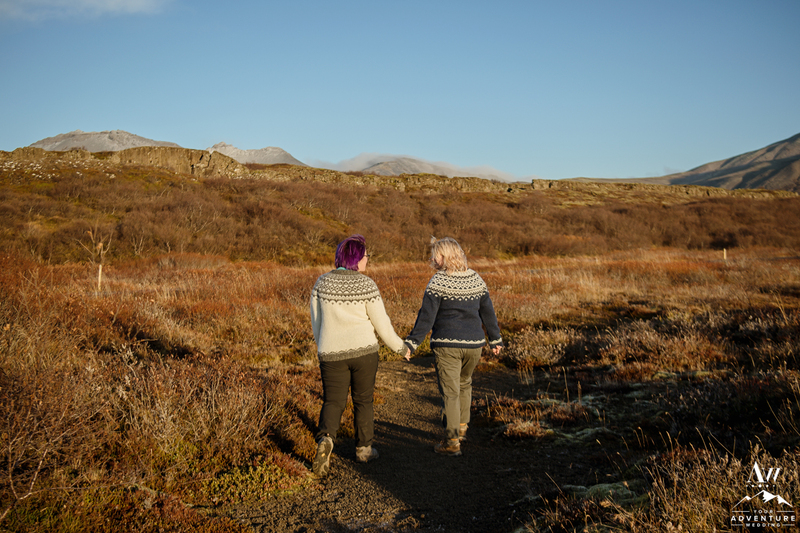 Jen and Ellie found their way to each other by being at the right place at the right time. Love those kind of love stories right?! They were both at a pivotal point in their lives where they were able to experience each other at their best and also at their worst which allowed their bond to grow quicker and deeper. 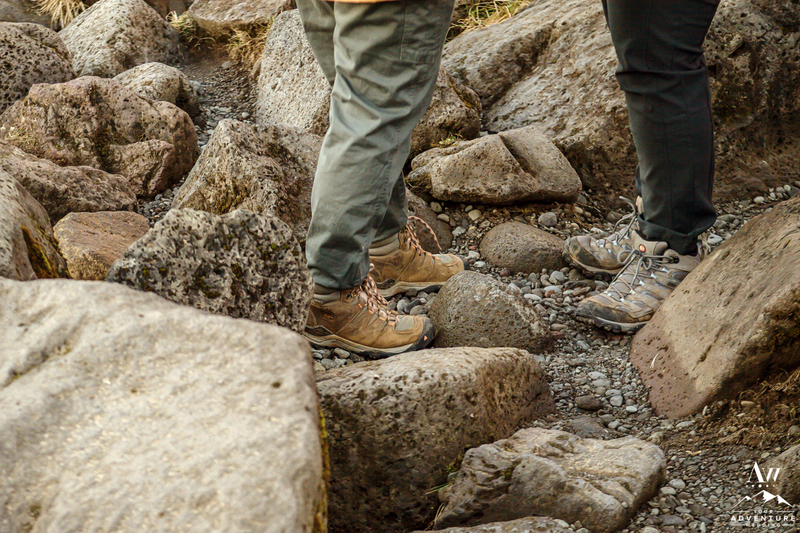 Having a lot in common, they spent their days getting to know each other out in nature, camping, and hiking together. 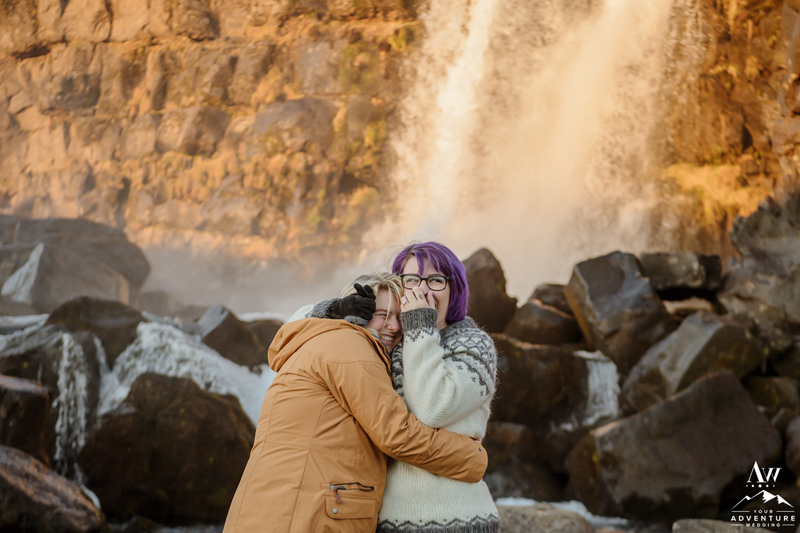 Being both outdoorsy gals, they made the joint decision to move somewhere new together and call it their new “home.” The Pacific Northwest called to them after being together for over 3 years in Los Angeles, so they made the move to Portland, Oregon! 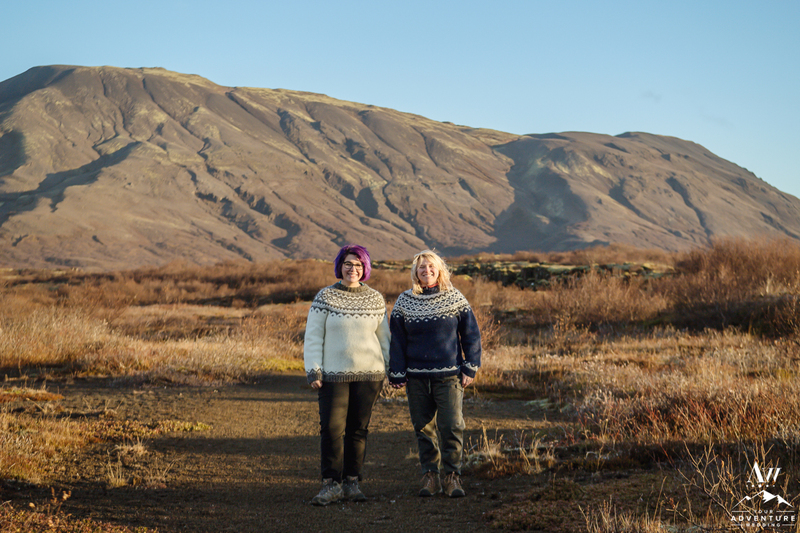 These two beauties began planning their fall trip to Iceland at the 1st of January 2017. 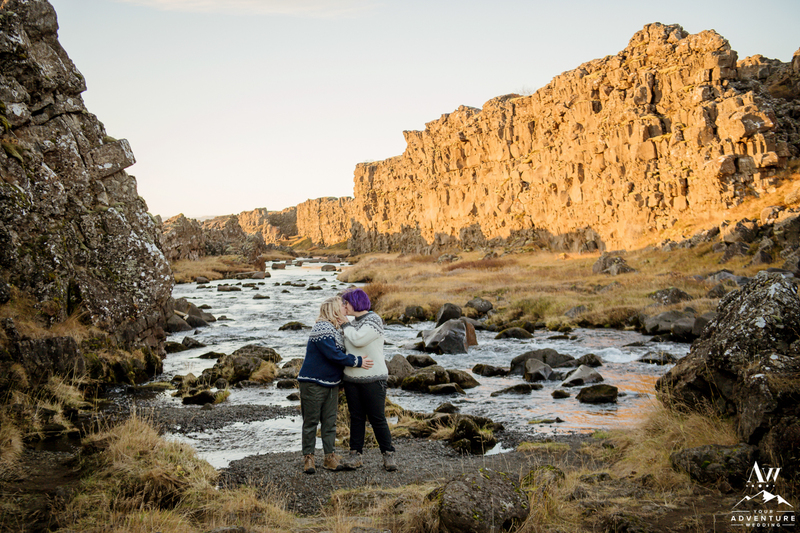 Planning to come in November 2017, they were so ready to embark on their token “dream trip” but little did Ellie know Jen was planning a bit more on the side… To Propose Iceland! 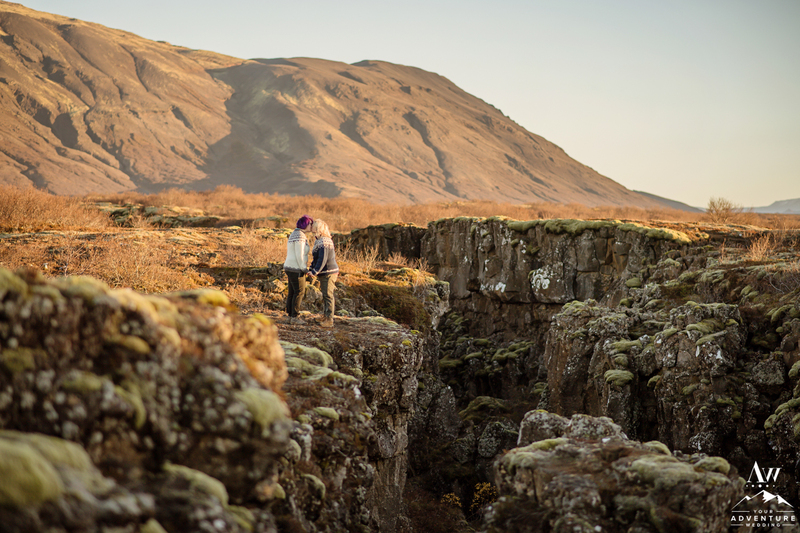 The adventurous Jen contacted us in August last year, hoping to plan a private proposal and have it captured by an Iceland wedding photographer too. 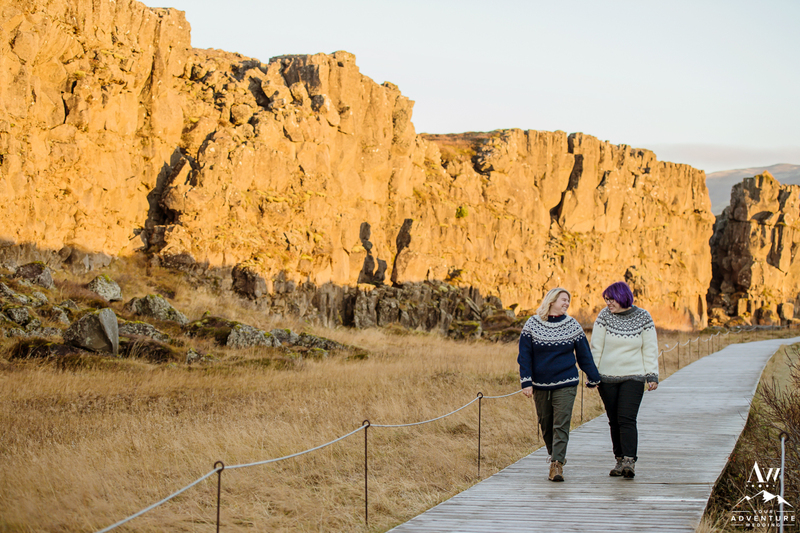 Our Iceland Wedding Planner team was thrilled to craft an unforgettable morning for them to partake in! 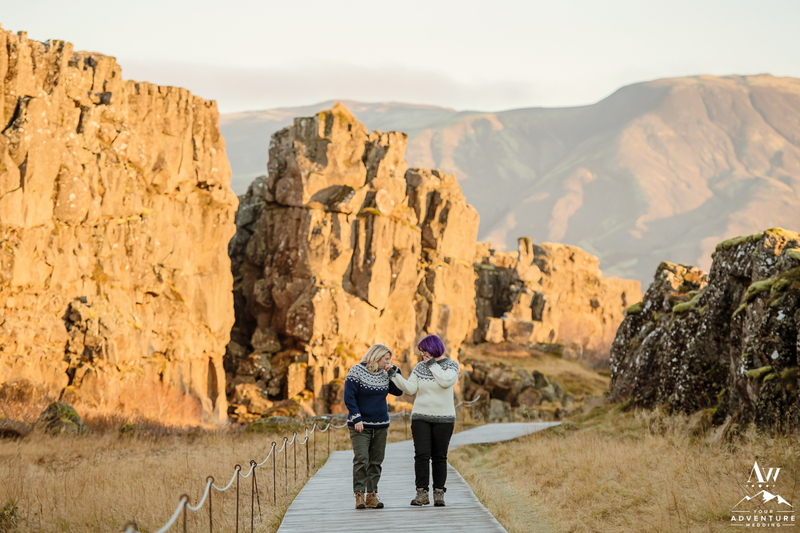 After careful consideration of the beautiful offbeat locations our team offers for proposals in Iceland, Jen kept coming back to the beauty and history that Þingvellir National Park (Thingvellir) holds. The entire park is a UNESCO World Heritage Site as well. 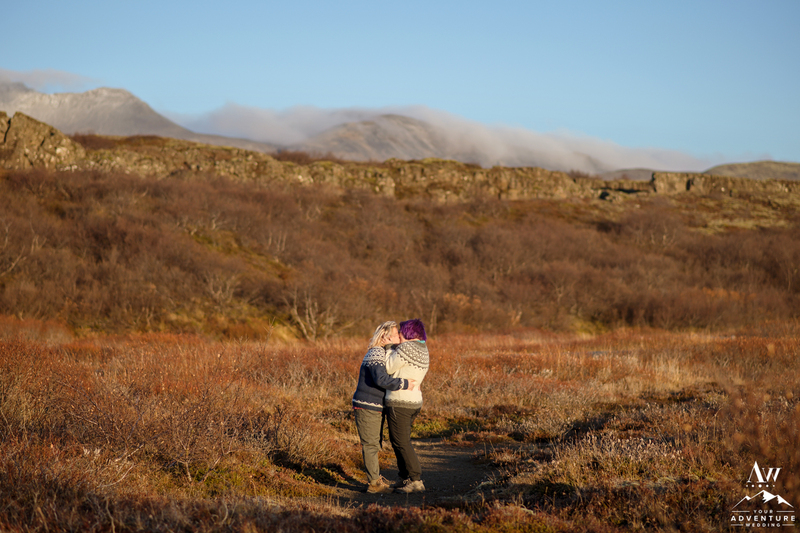 It also held a convenience since they were adventuring around the “Golden Circle” that day and she was hoping the proposal to stay a surprise. 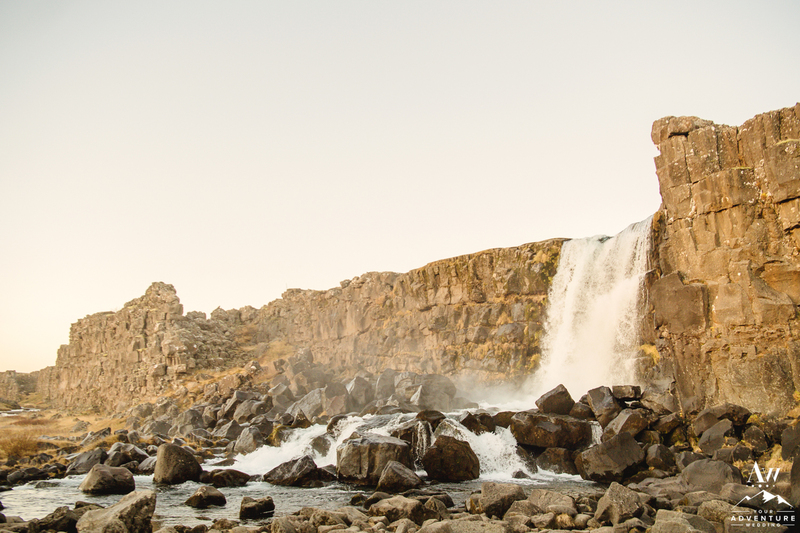 Within Þingvellir National Park, you’ll find Öxarárfoss Waterfall. She sits perfectly between lava rock walls and nearby to the famed tectonic plates. It was meaningful to Jen too I think since she was from the East Coast and Ellie from the West Coast, so it was sort of signifying a coming together too! 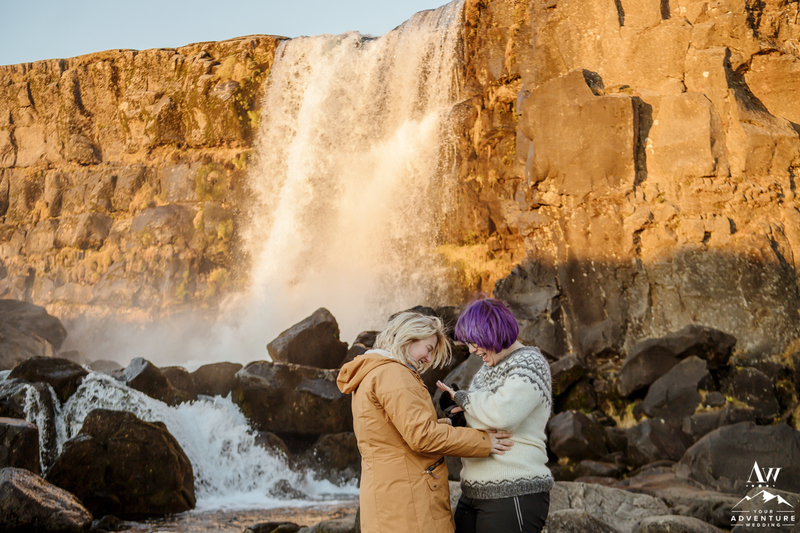 So now that we had our perfect spot… it was time for Jen to Propose Iceland! Also head over to the fantastic: How She Asked blog (or on our PRESS page) where you’ll read and see more on these two lovelies! 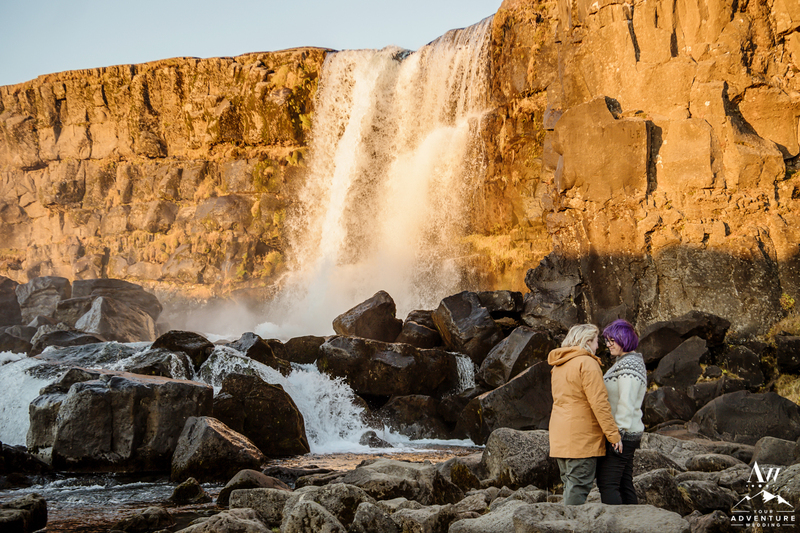 It was critical for Jen that our Iceland Wedding Photography team not be seen or have any contact with them until she proposed at Oxararfoss Waterfall. Mainly because she knows Ellie well enough that she would know something was up. So it needed to look like Jen just really wanted to witness sunrise from that incredible waterfall. 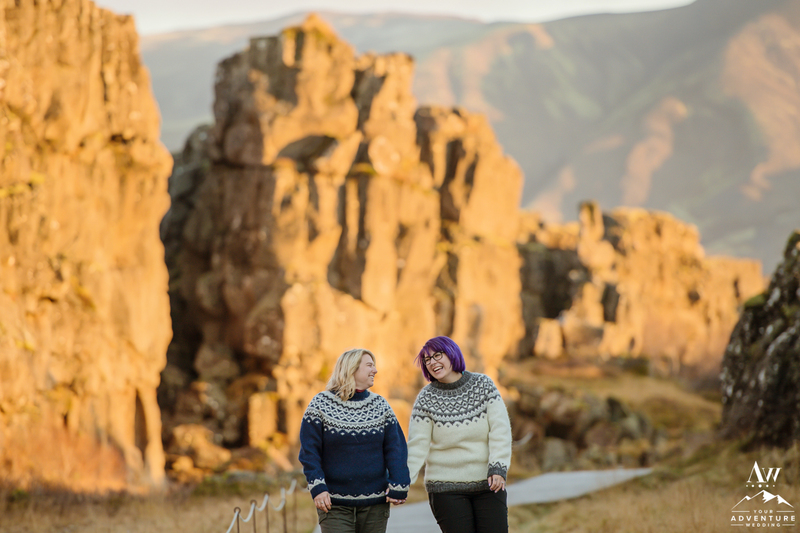 Jen let our Iceland Wedding Planner team know in advance what they would likely be wearing so as the photographers “acted like tourists” they could forever pause that proposal moment for them. 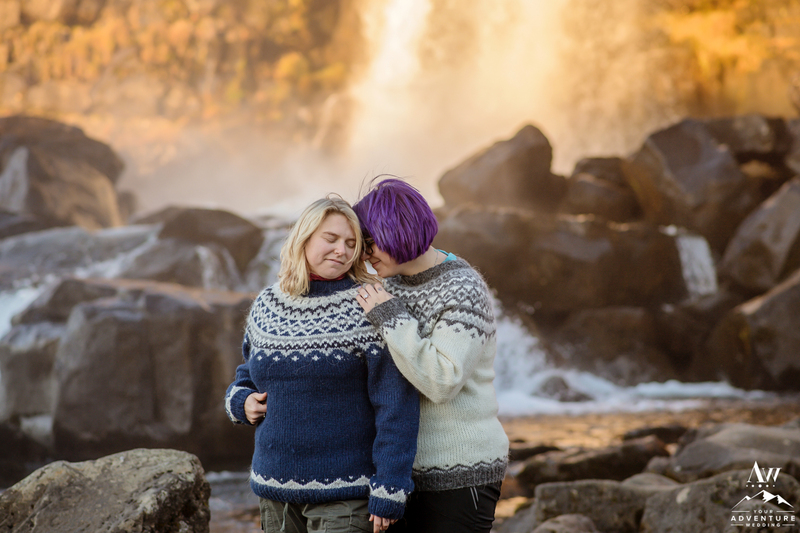 So with their sweet little Icelandic sweaters and in hiking boots, they made their way to the stunning waterfall …and oh man was it the PERFECT surprise! ::High Five:: Jen! 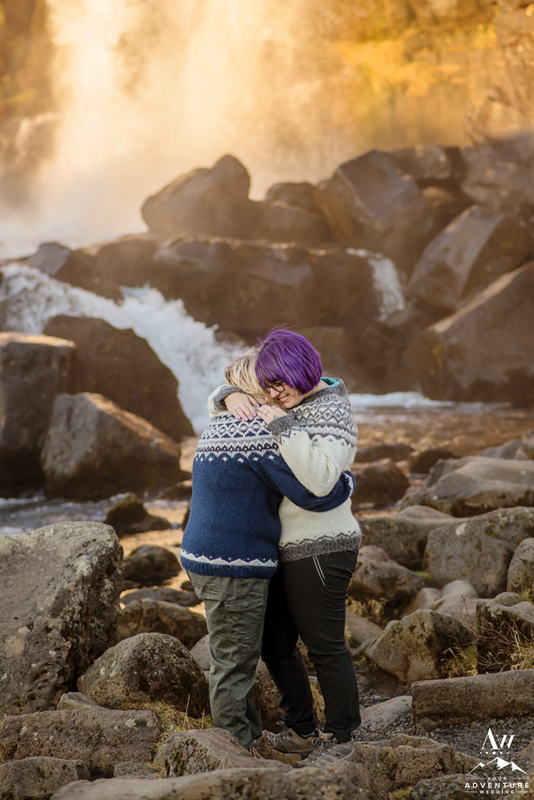 What our Iceland Proposal Team loved the most about these two was seriously how much amazing positive energy they executed! They were both beaming in excitement, love, and endless smiles! The love they share for each other in once in a lifetime and we are so freaking thrilled and honored to have been a part of such a special unforgettable milestone in their lives! 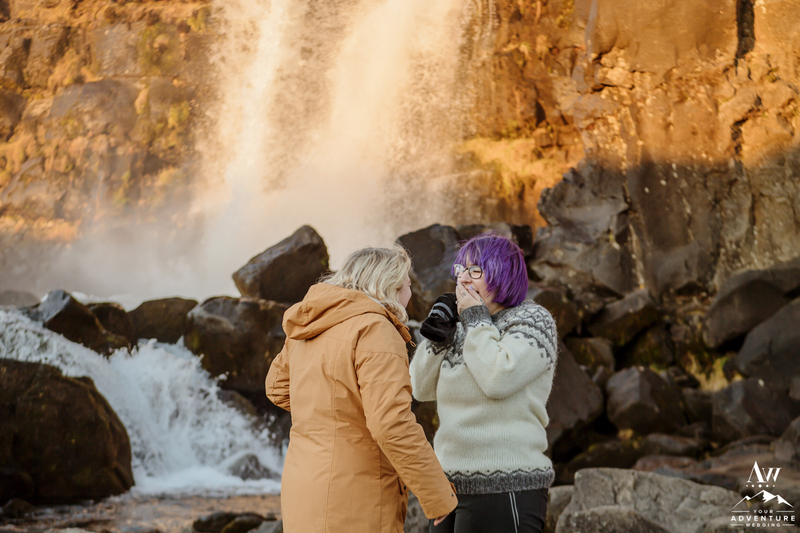 Shortly after Ellie came back down to earth (you know, from being on cloud nine and all 😉 ), Jen told Ellie it was all captured by an Iceland proposal photo team and they were able to go around for a few more adventures around the area before getting back on to their “Golden Circle” schedule. She was soooo HAPPY! 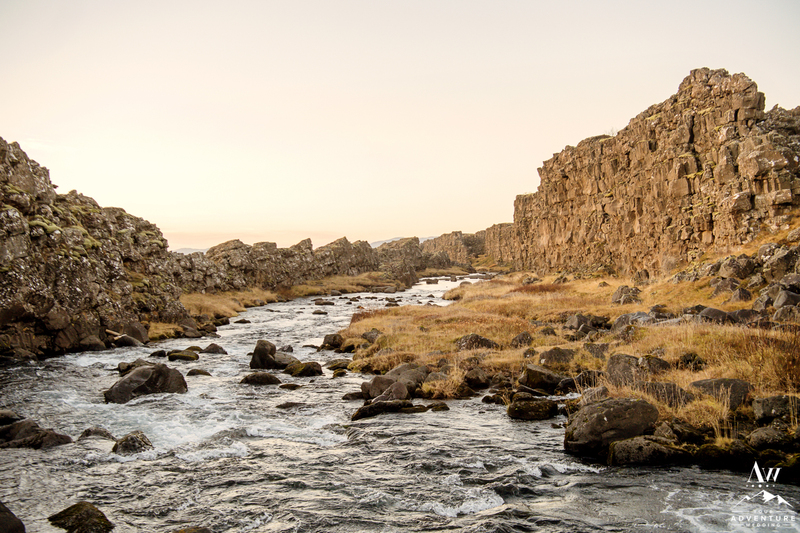 It being sunrise in Thingvellir National Park, it had such glorious warm tones EVERYWHERE our Iceland proposal photo team was in HEAVEN! 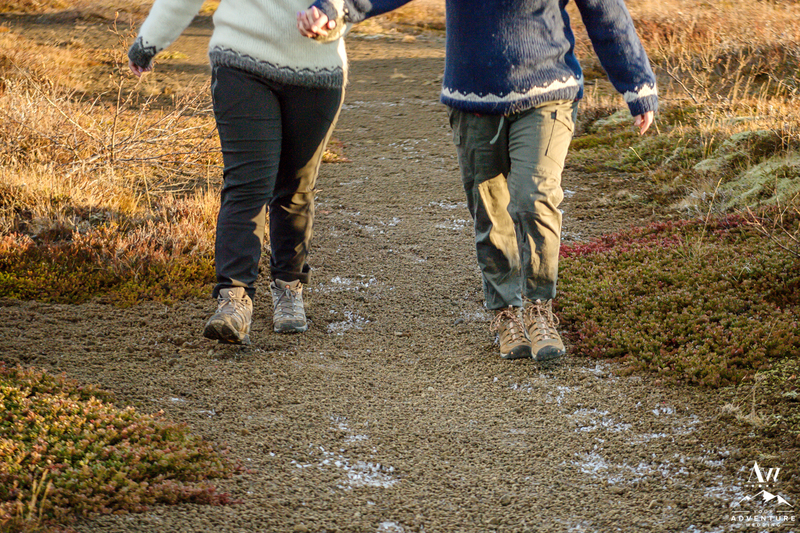 Having their hiking boots on, these ladies were ready for any sort of exploration our Iceland Proposal Photographer asked them to do! 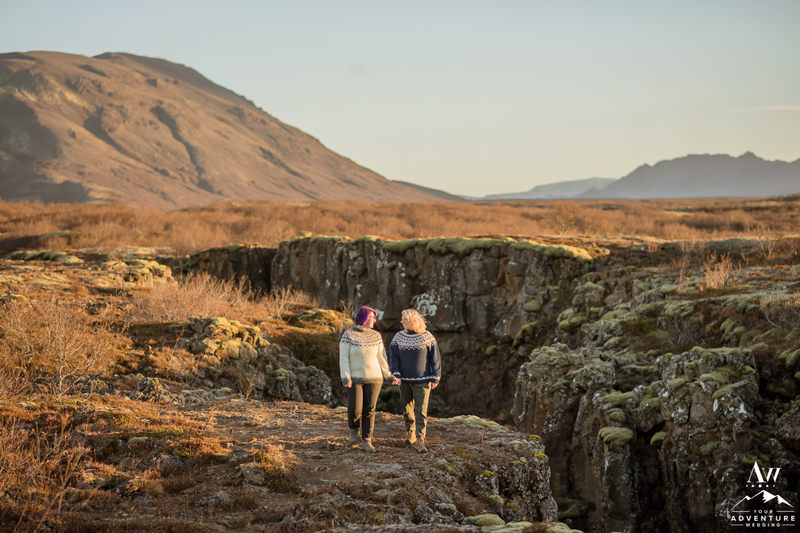 As the morning light spanned further around, it was time to move Propose Iceland locations and head over to more of the “tectonic plate” areas to explore! The awesome thing about starting so early (sunrise) in off season (November), is that there are less tourists in an area like this. 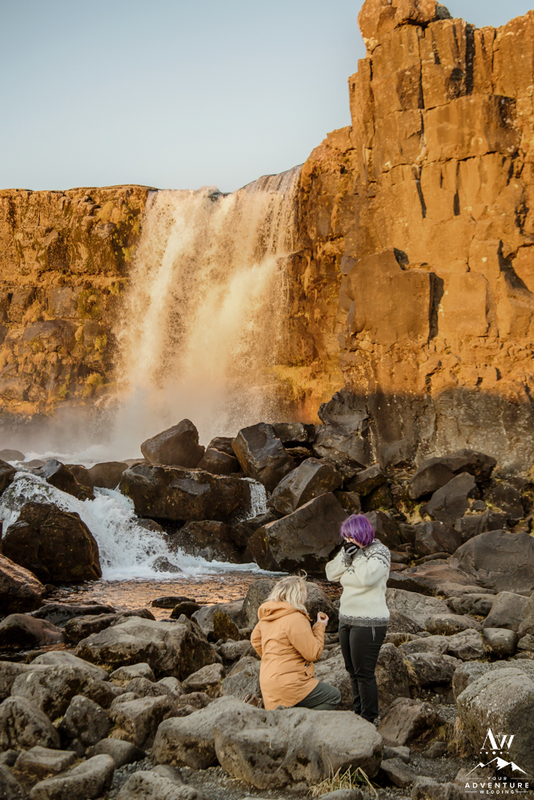 Although Thingvellir National Park is quite large, tourists defiantly find there way to the token “spots” like Öxarárfoss after the sun comes up! The laughs, the smiles, skips, and peps in their steps were countless! Both of these gorgeous gals were crazy excited to formally now be fiancees! 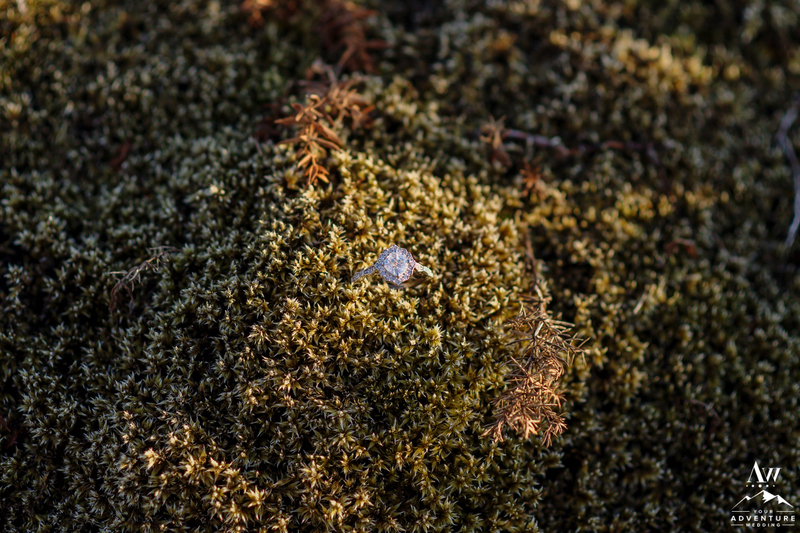 Okay okay okay so now let us all seriously swoon over Ellie’s elegant Icelandic engagement ring for a sec? 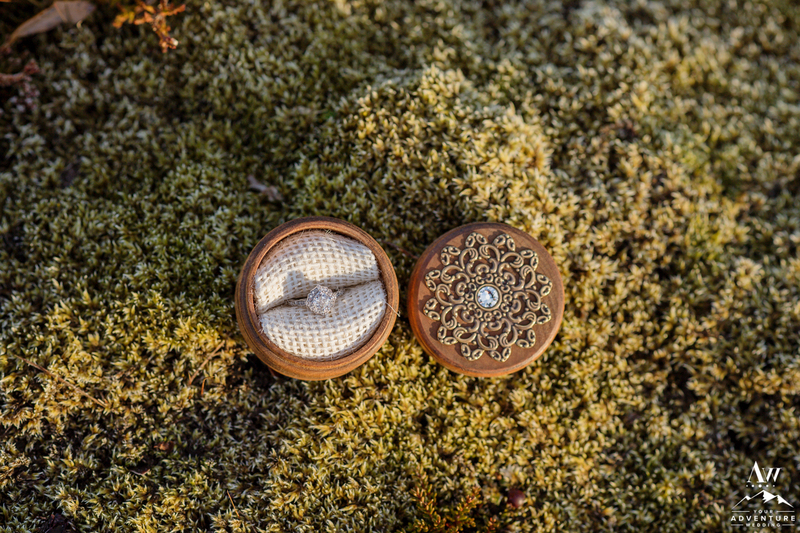 Jen even thought ahead to have a beautifully detailed custom box made! It all happening so fast that morning, Ellie didn’t even realize it until after the session was complete! 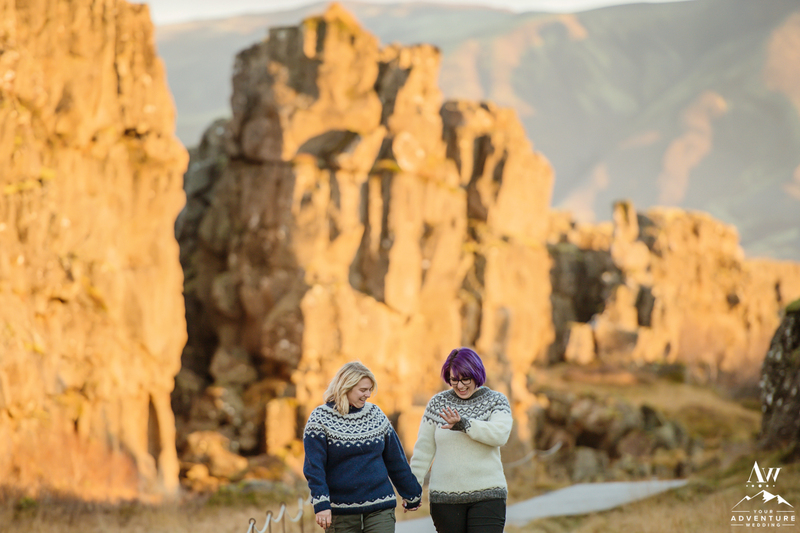 Ladies, thank you so much for allowing our Iceland Wedding Planning team, the pleasure of helping you craft and capture such a lovely Proposal Iceland. Your energy is contagious and your admiration for each other is inspiring! 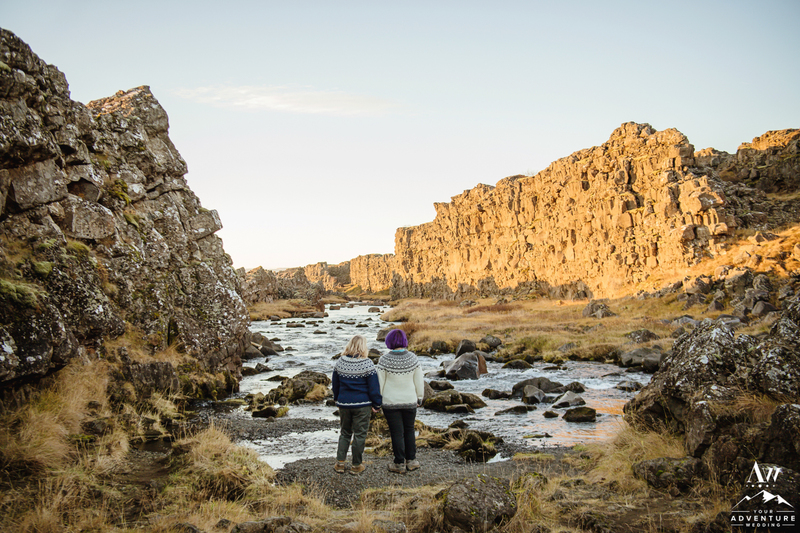 We hope you will keep coming back to Iceland to adventure together! We hope you continue to relive these epic moments to such a perfect start for your next milestone adventure together… Marriage!